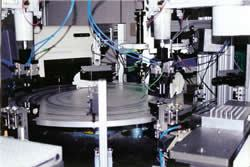 Drives, Control Techniques, Emerson, Saftronics, SEW Eurodrive, GE, FANUC, Square D, Cleveland Motion Controls, Toshiba, Polyspede, Graham, TB Wood’s,Motortronics, Nexen and Fairford Electronics. 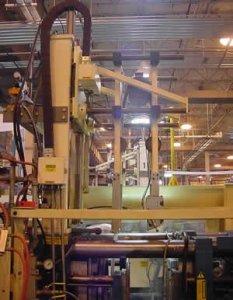 Facilities on Industrial electronic equipment mostly with AC and DC drives. We have a vast supply of electronic components to expedite your repairs. Most importantly, our technicians have over 10 years experience in industrial electronic sales and repairs, servicing circuit boards, VFD units, PLC’s, and drives from all over the Country. While we are not an authorized dealer for any brand of PLC’s we have many years of experience working on their equipment and have done extensive training on their AC drives, DC drives, and servo drives. We offer technical support over the phone as well, for items we have sold or repaired and design for our customers. systems, controls, test and inspections, we successfully integrate new systems that offer you a greater return on your investment. buck each other when we test your AC or DC drive when the repair department is done with the repair. If a drive comes in for repair be it an AC drive, DC drive, Servo drive, or Spindle drive and it is uneconomical to repair or if it can’t be repaired due to obsolete parts we can usually get you a quote for a new drive that will work in its place. Our sales department will work with you on getting you the proper drive to retrofit into your system if your old drive is obsolete. If your drive is still currently available we will quote you with the same drive.